Have you ever had a good bottle of wine and wondered what type of dish to serve with it? 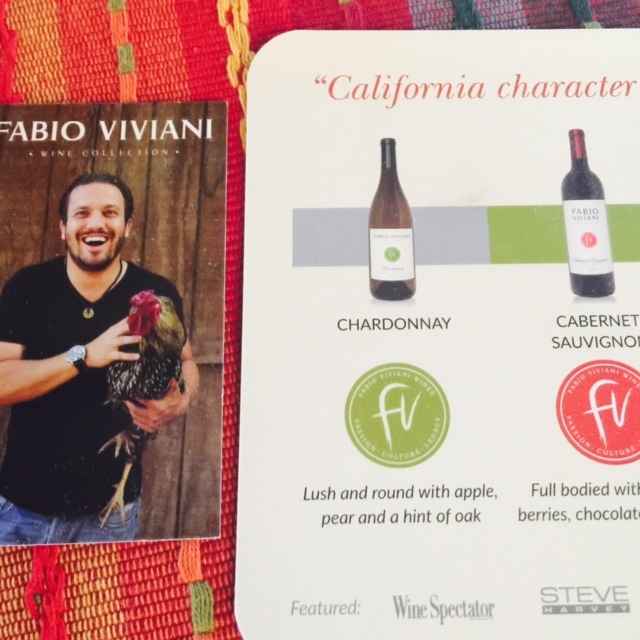 Fabio Viviani’s goal is to simplify the pairing of wine and food, by providing east to follow recipes with his own wine collection. Brilliant! 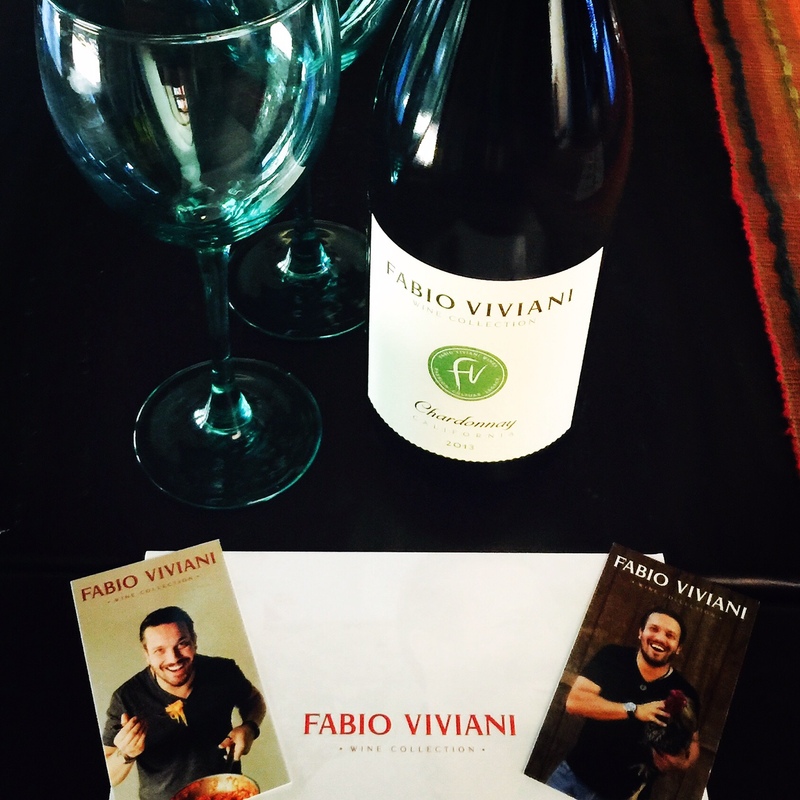 The charismatic Italian chef Fabio Viviani is a familiar face to many people, based on his multiple appearances on Bravo’s hit reality series “Top Chef.” Viviani easily earned the “Fan Favorite” title on Season 5 for his good looks and likable personality. After his on-screen appearances, he soon became one of the fastest growing household names in the country. Fabio and I first met at his newly opened restaurant Osteria Firenze near Universal Studios Hollywood in 2010. I was enamored with him and his best childhood friend and mixologist, Jacopo Falleni. They ran the restaurant smoothly for years, even with Fabio flying all over the world promoting his products, cooking on television shows, and appearing at book tours around the U.S. for his New York Times best-selling cookbooks. Soon he became a bigger sensation with his hit on Yahoo! Chow Ciao and moved on to Chicago to open Mercato and Siena Tavern. Elevating his intense passion for food, Fabio recently received the opportunity to have a wine business too. I learned about his wines when a bottle of his Chardonnay was gifted to me. In the box was a description of his four wines: Chardonnay, Cabernet Sauvignon, Signature Red blend and Signature White blend. There were also four business-size cards with his handsome face on the front and a recipe on the back. After chilling the wine for a few hours, I opened the Chardonnay and noticed a hint of oak with a nose of apple and essence of pear. It was delicious. There was recipe card for his cheese tortelloni with mushrooms and zucchini to be paired with this wine. There was also a recipe for Andouille-stuffed zucchini, and a card with just a couple steps to make an elegant lemon roasted chicken. The last recipe card had Chef Fabio’s Pappardelle with Bolognese sauce. This dish is recommended to be paired with his full bodied Cabernet Sauvignon that offers noted of red berries, chocolate and coffee. For my bottle of California Chardonnay it said that its a 2013 Vintage perfect for any occasion. It’s ready to drink now or can be saved to drink within the next two to five years. Furthermore it pairs well with chicken, fish, light meats and pastas with light sauces. Best of all it is only $14 per bottle. If you buy more than three bottles you qualify for a 10% discount. It also stated that the alcohol is 13.5%. What a great gift to send to someone – a bottle of wine and recipe cards, with Fabio’s handsome face on the front and step-by-step instructions to make one of his special dishes. To order a bottle go to http://www.fabiovivianiwines.com.